Molecules are relentlessly dynamic – vibrating, cartwheeling, and zigzagging in a restless hustle. In order to study molecular properties and interactions, their motions must be tamed to a certain degree. In particular, the ability to make molecules face in a specific direction – to align or orient their axis – is sought in many diverse research areas. Bretislav Friedrich and his team at the Fritz Haber Institute, together with collaborators at Harvard, Purdue, Universität Regensburg, and the Freie Universität Berlin, have devised ways to coerce molecules into alignment and orientation. 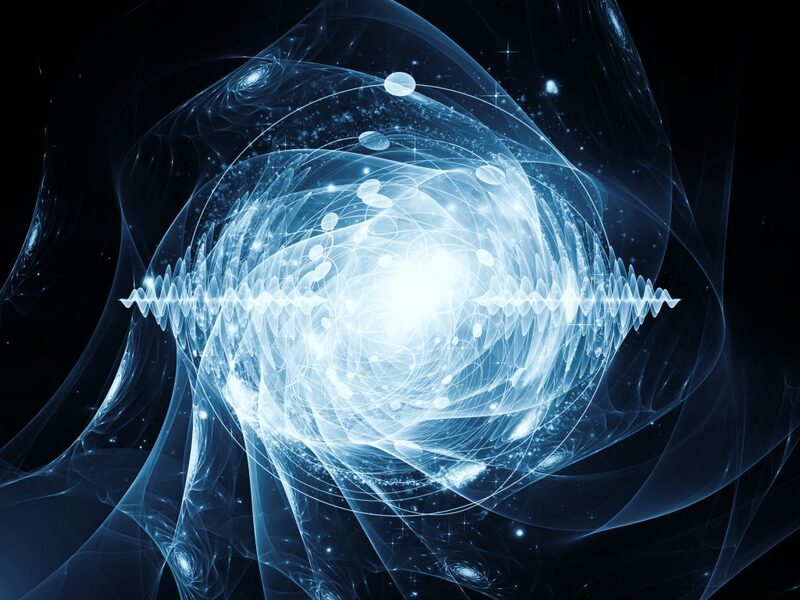 At the same time, they found exact solutions to the Schrödinger equation for particular strengths of the interactions between molecules and the electromagnetic fields that cause the aligning and orienting. It is often the case that the electrons that bind atoms into molecules are unevenly (anisotropically) distributed over the molecular frame. Think of a diatomic molecule such as hydrogen fluoride, HF. Because fluorine has a greater affinity (attraction) for electrons than hydrogen, the electron distribution is biased, with more (negative) electron charge concentrated on the fluorine atom than on the hydrogen atom. This makes the molecule polar, lending it a so-called permanent electric dipole moment (see Fig. 1). This dipole moment is fixed along the molecular axis that runs through the nuclei of the two atoms. 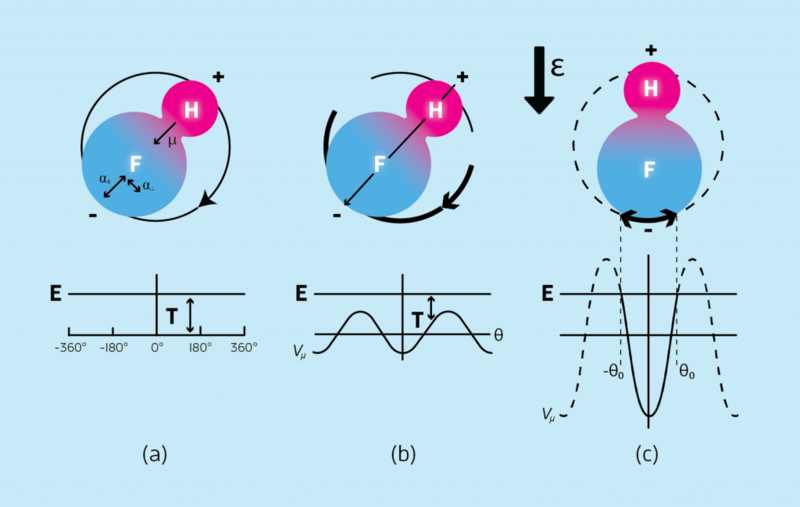 Since an electric dipole moment can be acted upon by an electric field (like a magnet can be acted upon by a magnetic field), the permanent, molecule-fixed electric dipole moment can be used as a lever to manipulate the molecular axis through its interaction with an external electric field. In the absence of the electric field, the dipole moment and thus the molecular axis is free to rotate in space (see Fig. 1a). When the electric field is turned on, the dipole moment is acted upon by the field proportionately to the dipole’s magnitude, μ, the strength of the electric field, ε, and the cosine of the angle θ between the two. As a result, the energy of the electric dipole interaction becomes Vµ = − µ ε cosθ. Had the molecule rotated with kinetic energy T prior to switching on the field, its total energy in the field would then be E = T + Vµ. If the total energy is to remain constant throughout the rotation of the molecule – as it should – the kinetic energy has to become dependent on the angle θ as well. As a result, the rotation in the field proceeds nonuniformly, but still covers the full range of 360° (see Fig. 1b). Since the to and fro motion is analogous to that of the pendulum (also defined by a cosine potential, between the bob’s suspension and the gravitational field), the orientation achieved in this way is termed pendular orientation. We note that the kinetic energy T of the molecule’s rotation does not only depend on the amount of initial angular momentum (i.e., how fast it rotates) but also on the molecule’s mass distribution, as captured by the quantity called the rotational constant, B. By dividing the permanent dipole interaction Vµ by the rotational constant we end up with a quantity Vµ/B that is independent of any particular (diatomic) molecule, as it contains all the molecule-specific parameters on which its motion – with a given angular momentum – in the electric field depends. We write Vµ/B = −η cosθ, where η = µ ε/B is a dimensionless parameter – just a number – that fully characterises the strength of the orienting permanent dipole interaction of a polar molecule with an external electric field. 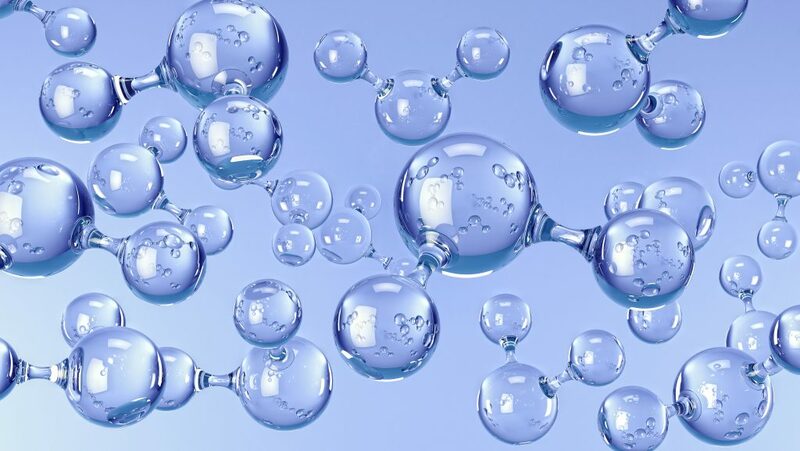 One can immediately see that the orienting interaction will be strong for molecules with a large permanent dipole and low rotational constant (the latter possessed, roughly speaking, by heavy molecules). Not all molecules offer such properties, and therefore, pendular orientation is not as versatile as one would wish. A dipole moment can be also induced in a molecule – whether polar or non-polar – by an external electric field. The induced dipole moment depends on the molecule’s polarisability, which is a measure of how tightly the molecule’s electrons are bound. The induced dipole moment can be then acted upon by the very electric field that has induced it. If the polarisability is uneven (anisotropic) over the molecular frame, the induced dipole moment is again molecule-fixed and can be used as a lever to manipulate the rotation of the molecule. Because of the ‘double action’ of the electric field (inducing a dipole moment and then acting on it), the induced dipole interaction is proportional to its square as well as to the square of the cosine of the angle θ between the molecular axis and the direction of the field. It is also proportional to the polarisability anisotropy, Δα, which, for the example of a linear molecule, is the difference between the polarisability parallel αII and perpendicular α to the molecular axis. Unlike the permanent body-fixed electric dipole moment, a singleheaded arrow, the polarisability anisotropy is a double-headed arrow, since it does not distinguish, in our example, between the H and F atoms (see Fig. 1). Hence the induced dipole interaction can only align the molecular axis. It is given by Vα = − Δα ε2 cos2θ or, divided by the rotational constant of the molecule, Vα/B = −ζ cos2θ, with ζ = Δα ε2/B. Thus, the strength of the induced dipole, aligning interaction is universally characterised by the dimensionless parameter ζ, a number. In order to make the alignment parameter (and hence the alignment attained) sizeable for typical molecules (say ζ > 10), the electric field strength has to be raised to values that are too high to be attained in static electric fields (made by a high-voltage capacitor). Instead, the electric field of an intense electromagnetic wave produced by a laser has to be used. Such an optical field of intensity, I, gives rise to an electric field εopt = (2IcЄ0)1/2, where c is the speed of light and Є0 the vacuum permitivity. For instance, an optical field of an intensity of 1012 W/cm2 produces an electric field εopt= 19,410 kV/cm, whereas a realistic maximum value of an electrostatic field is only about 100 kV/cm (i.e., about 200 times less). The requisite high optical intensities can only be achieved with pulsed lasers; however, the duration of the laser pulse can easily exceed the rotational period (h/2B, with h Planck’s constant), in which case the optical field during the pulse behaves as if it were static at any moment. The above description of the dynamics of a polar and/or polarisable molecule in an electric field draws on classical mechanics, as given, for example, by Newton’s laws of motion. However, a molecule is a quantummechanical object that obeys the laws of quantum mechanics, as encapsulated, for example, in the Schrödinger equation. As famously pointed out by Paul Dirac, ‘The underlying physical laws necessary for the mathematical theory of … the whole of Chemistry [molecular science] are thus completely known, and the difficulty lies only in the fact that application of these laws leads to equations [Schrödinger’s equation] that are too complex to be solved.’ There are a handful of problems in molecular science for which Schrödinger’s equation can be solved (one speaks of an analytic or exact solution – which is just a closed-form formula that consists of elementary functions such as powers, trigonometric functions, etc. ), such as the harmonic oscillator (a model of molecular vibration) or the hydrogen atom (a model of atomic shell structure). However, for the vast majority of problems, Schrödinger’s equation can only be solved numerically, and moreover, usually after being simplified. The quantum pendulum problem (involving a molecule subject to a permanent and/ or induced dipole interaction with an external electric field) belongs in the latter category – and can in general only be solved numerically (with arbitrary accuracy). These numerical solutions provide the energies as well as the wavefunctions of the various states that the molecule can have at given values of the parameters η and ζ (see Fig. 2). As noted above, pendular orientation is only applicable to molecules with special properties. Therefore, a more general approach to orienting molecules was sought – and found – by Friedrich and his colleagues, using a technique based on the combination of a static electric field with a non-resonant optical field. The orientation occurs for any polar molecule, as only an anisotropic polarisability, along with a permanent dipole moment, is required. This is always available in polar molecules. Thus, for a great number of molecules in their rotational ground state, a static electric field can convert alignment by a laser into a strong orientation that projects up to 90% of the body-fixed dipole moment on the direction of the static field. Friedrich’s ‘combined fields’ technique has been used in applications ranging from molecular imaging to surface science. The strong orienting effect of the combined fields arises from the coupling of the members of the doublets generated by the induced-dipole interaction (the so-called tunnelling doublets, shown in Fig. 2b) by the permanent dipole interaction (shown in Fig. 2a). Fig. 2c shows the combined interaction along with the corresponding energy levels. One can see that adding the permanent dipole interaction makes the combined interaction asymmetric and draws the nearly degenerate (of nearly same energy) tunnelling doublets apart. Such a marked change in the energy of a given quantum state with the permanent dipole interaction is an unequivocal indication that the state in question has become highly oriented. We note that the combined fields effect is much more than the sum of its parts. This finding will be revisited below. The scarcity of analytic solutions to problems arising in quantum mechanics has not only spurred the development of techniques to find their numerical solutions instead, but has also impelled attempts to search for a type of analytic solution that only obtains for a subspace of the parameters that specify a given quantum mechanical problem. So, for instance, while the harmonic oscillator problem is analytically solvable for all values of the parameter on which it depends (the reduced force constant), the quantum pendulum one is not. Rather, the pendulum problem is only conditionally solvable, that is, its closed-form solutions only exist if the problem’s interaction parameters satisfy a particular set of conditions. These are the orienting and aligning parameters that determine the interaction of a polar and polarisable molecule with an electric field (or a combination of an electrostatic with an optical field). Moreover, the analytic solutions only exist for finitely many states. But how do we find the analytic solutions and the conditions under which they obtain? Supersymmetry was introduced as a presumed spacetime symmetry (relating fermionic and bosonic degrees of freedom) in search for physics beyond the socalled Standard Model of particle physics. Supersymmetry may not be corroborated by experiment any time soon – in fact, indirect evidence from the Large Hadron Collider suggests that supersymmetry between fermions and bosons does not exist. However, this has no bearing whatsoever on the so-called supersymmetric quantum mechanics (SUSY QM). SUSY QM was worked out in 1981 by Edward Witten as a model, with the goal of studying the structure and properties of the original spacetime SUSY. SUSY QM soon acquired a life of its own, which reached an early climax in 1983, when Lev Gendenshtein established a connection between SUSY as it arises in SUSY QM and analytic solvability. He showed that all known analytically solvable problems in quantum mechanics exhibit SUSY – and an additional property, called shape invariance, which is defined with the help of SUSY. In what follows, we’ll use the word supersymmetry or SUSY exclusively for supersymmetric quantum mechanics, which has meanwhile become well-ensconced within mathematical physics. Supersymmetry, shown schematically in Fig. 3, is a relationship between two so called superpartner potentials, V1 (green) and V2 (red), both derivable from the same superpotential, W, and with states intertwined by the operator A. Now how do we solve the quantum pendulum problem with the help of SUSY? First, we make an Ansatz for the superpotential. That’s the difficult part, like in integration by substitution. Once we have a viable Ansatz, such as W = α cotθ + ß sinθ, the rest is easy. Then we set the pendulum’s interaction potential equal to either V1 or V2, make use of the corresponding Ricatti equation, V2,1 = W2 ± dW/dθ + γ, and determine the constants α, ß, and γ. From there we get the energy, E0, and the corresponding wavefunction, ψ0. However, since ß locks η and ζ to one another, we end up with a restriction on the ratio of the interaction parameters for which the analytic solutions obtain, namely ζ = η2/4k2, where k = 1,2,3, … is an integer. So far, Friedrich and his collaborators found a number of analytic solutions and identified conditions under which they obtain for both the full-fledged three-dimensional – spherical – pendulum (8 solutions) and the two-dimensional – planar – pendulum (40 solutions). Interestingly, no solutions were found for either a pure permanent dipole (ζ = 0) or induced dipole interaction (η = 0). In the course of their work, the researchers also investigated the dependence of the energy of the quantum pendulum on the interaction parameters η and ζ for its various quantum states. 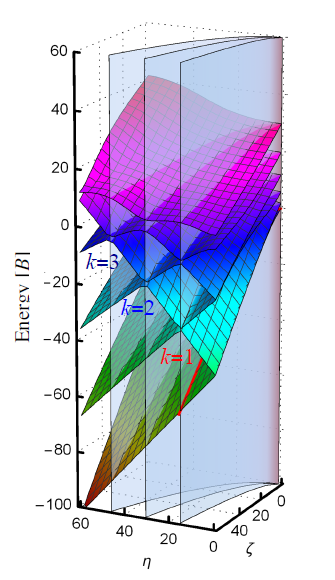 These energy surfaces (energy as a function of the two parameters η and ζ) were found to exhibit numerous intersections (see Fig. 4). Unsurprisingly, given that the tunneling splitting at fixed ζ increases with η, the upper member of the lower tunneling doublet is bound to meet the lower member of the upper tunneling doublet at some point. This then results in the observed pattern of intersections (all of them are socalled avoided intersections). At this point, the researchers asked themselves whether the loci of the intersections (where the energy surfaces intersect) can be expressed analytically – and found that the answer is yes: the avoided crossings occur along parabolae given by the formula ζ = η2/4k2, with k = 1,2,3, … an integer. But they had found this very formula already before: it is the condition for analytic solvability of the quantum pendulum problem! 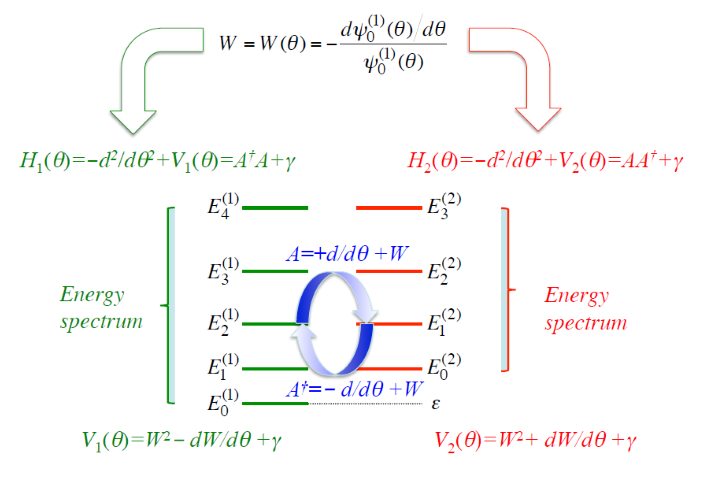 This is how the researchers realised that analytic solvability and the topology of the energy surfaces are closely connected. But what does exact solvability have to do with the topology of the energy surfaces? That’s the one million-dollar question that the team is trying to answer in their ongoing work. A clue as to the origin of the magic connection comes from the structure of the matrix representation of the quantum pendulum problem. By also studying the two-dimensional planar pendulum, Friedrich and his team were inspired to find additional solutions to the threedimensional pendulum problem. ‘The planar case is quite instructive and in fact much of what we did on the full-fledged three-dimensional pendulum we first practiced on the planar one,’ he says. Equipped with many more analytic solutions in 2D, this search will continue. ‘Moreover, the planar pendulum is related to an analytically solvable double-well problem.’ The ‘double-well’ is another example of a quantum mechanical problem, which is also only conditionally analytically solvable. It involves two potential energy minima (or wells), which are separated by a barrier. He goes on to say that, ‘there are other potentials that occur in molecular quantum mechanics, such as the anharmonic oscillator, that we are set to explore as well.’ An anharmonic oscillator (which, unlike a harmonic oscillator, has energy levels that are not equidistant) can model nuances of molecular vibration as well as other problems. 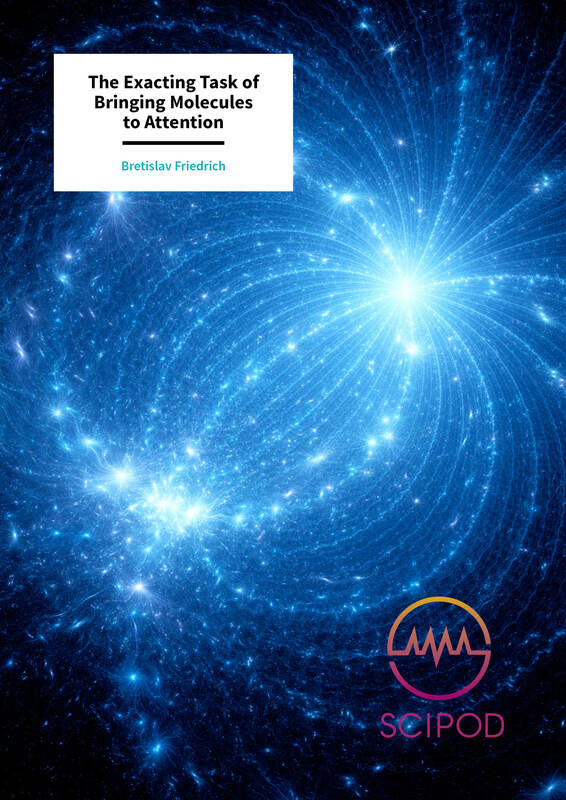 As Friedrich says, ‘in fact, the quantum pendulum is a sort of anharmonic oscillator’, so he is looking to use his previous solutions to the quantum pendulum to explore the anharmonic oscillator in more depth. A greater goal of all of this work is to clarify what SUSY and exact analytic solutions have to do with the energy surface topology described earlier. And last but not least, there’s the supersymmetric Wentzel-Kramers-Brillouin (WKB) approximation that is of interest wherever WKB is of interest. WKB SUSY has already proved its worth explaining how the analytic form of the pendular ground state wavefunction comes about at an integer value of the topological index, thereby providing another clue as to the magic connection between analytic solvability and energy surface topology. So, what are analytic solutions good for? In the first place, they can be used to evaluate, in analytic form, the characteristics of the strongly oriented and aligned molecular states that they pertain to. So apart from being beautiful and rare, these analytic solutions are also practical, for they allow to reverse-engineer the quantum problem and find the values of the parameters required for creating quantum states with preordained characteristics. The analytic solutions can also be used as benchmarks to check numerical calculations. Last but not least, the analytic solutions provide an insight into the workings of the quantum pendulum – or the Stark effect, in the case of a molecular realisation of the pendulum. Bretislav Friedrich was born in Prague, Czech Republic, and graduated from Charles University, in 1976, with a degree in physical chemistry. His diploma thesis dealt with non-ideal behavior of macro-molecular solutions in mixed solvents. Upon graduation, he switched fields to study the dynamics of ion-molecule reactions in crossed molecular beams at the J. Heyrovsky Institute of Physical Chemistry and Electrochemistry of the Czech Academy of Sciences, where he earned his PhD in 1981. Subsequently, he switched countries as well, more than once. 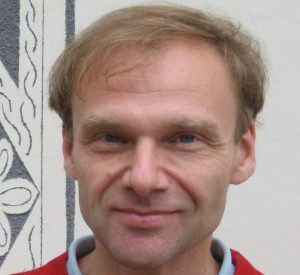 He was an Alexander von Humboldt Fellow at the Max Planck Institute in Göttingen (1986–1987), Research Associate and later Senior Research Fellow and Lecturer at Harvard University (1987–2003), and, since 2003, a Research Group Leader at the Department of Molecular Physics at the Fritz Haber Institute of the Max Planck Society in Berlin. He is also an Honorary Professor at the Technical University of Berlin. Friedrich is world-renowned for his pioneering research on the interactions of molecules with and in electric, magnetic, and optical fields. Although his current research is chiefly theoretical, it is closely linked to ongoing experiments in a number of laboratories worldwide. Aside from his research, he maintains an abiding interest in the history of science (emergence of quantum mechanics, rise of physical and theoretical chemistry, scientific biography) and is engaged in efforts to eliminate chemical and other weapons of mass destruction. S Becker, M Mirahmadi, B Schmidt, K Schatz and B Friedrich, Conditional quasi-exact solvability of the quantum planar pendulum and of its anti-isospectral hyperbolic counterpart, The European Physical Journal D, 2017, 71, 149. B Schmidt and B Friedrich, Supersymmetry and eigensurface topology of the spherical quantum pendulum, Physical Review A, 2015, 91, 022111. M Lemeshko, M Mustafa, S Kais, and B Friedrich, Supersymmetry identifies molecular Stark states whose eigenproperties can be obtained analytically, New Journal of Physics, 2011, 13, 063036. L Cai, J. Marango, and B. Friedrich, Time-dependent alignment and orientation of molecules in combined electrostatic and pulsed nonresonant laser fields, Physical Review Letters, 2001, 86, 775. B Friedrich and D Herschbach, Enhanced orientation of polar molecules by combined electrostatic and nonresonant induced dipole forces, Journal of Chemical Physics, 1999, 111, 6157. J Ortigoso, M Rodriguez, M Gupta, and B Friedrich, Time evolution of pendular states created by the interaction of molecular polarizability with a pulsed nonresonant laser field, Journal of Chemical Physics, 1999, 110, 3870. B Friedrich and D Herschbach, Alignment and trapping of molecules in strong laser fields, Physical Review Letters, 1995, 74, 4623. B Friedrich and D. Herschbach, Spatial orientation of molecules in strong electric fields and evidence for pendular states, Nature, 1991, 353, 412.